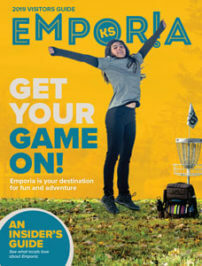 Disc golf is a hugely popular sport in Emporia, thanks in large part to Jeremy Rusco of Dynamic Discs (an Emporia startup that has grown into one of the nation’s top disc golf retailers) and tournament co-founders Eric McCabe and Gabe Werly. 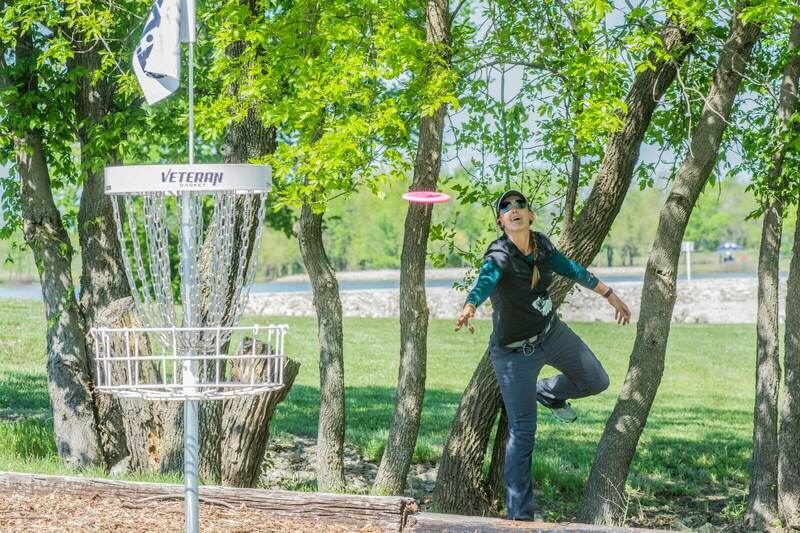 The Glass Blown Open is currently the world’s largest disc golf tournament, with players from across the U.S. and around the world descending on Emporia. The tournament is held annually in April – check our calendar for exact dates. The event gets its name from the hand-blown glass trophies that are presented to winners. The glass trophies were originally designed by Emporian and renowned glass artist, Hal Berger. The Glass Blown Open began in 2003 as a PDGA B-Tier with just 88 competitors. It has since grown to over 1700 competitors, and earned Emporia the unofficial nickname of “Disc Golf Capitol of the World”. Known locally as “GBO”, the event is an experience unlike any other. More than just a tournament, the entire community of Emporia celebrates and welcomes disc golfers with a full week of activities. Local brewery Radius Brewing Company creates a special “GBO” themed beer each year, and hosts a beer festival to mark the opening of the competition. To top it all off in true Emporia style, Emporia Main Street puts on an epic Block Party downtown that includes a putting competition, food vendors, beer garden and Ring of Fire. Whether you’re a casual disc golfer or competitive player, no other event celebrates the sport of disc golf like this one, so join us in April! Visit glassblownopen.com for information on this year’s tournament. Spectators are welcome during the competition. If you’d like the VIP treatment, Dynamic Discs offers a special spectator badge free of charge. Spectator Badge holders receive a spectator pack, exclusive autograph opportunities, participation in special events all week, a week-long 10% discount at the Dynamic Discs store. The downtown block party is sponsored by Emporia Main Street. Visit emporiamainstreet.com for block party info. Visit radiusbrewing.com for info about the GBO Kick-off Beer Festival. The festival features over 20 local craft breweries from across Kansas.